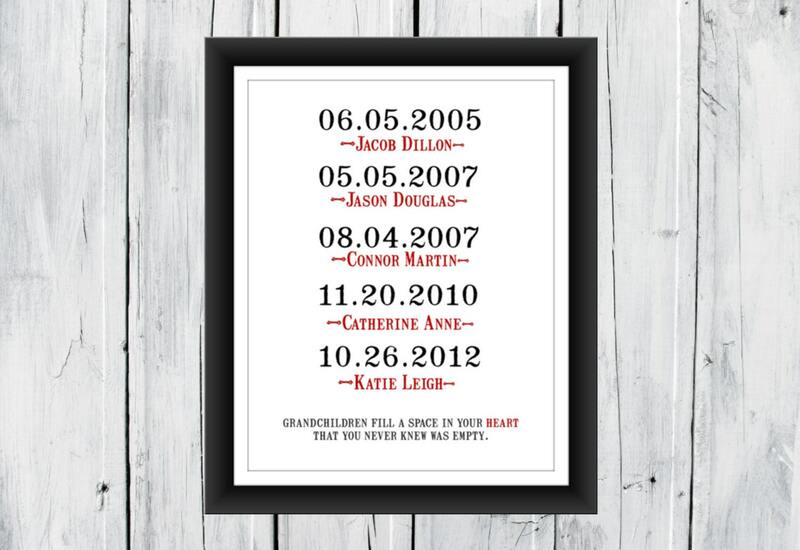 This print would make a fabulous gift for grandparents. A wonderful Mother's Day gift. 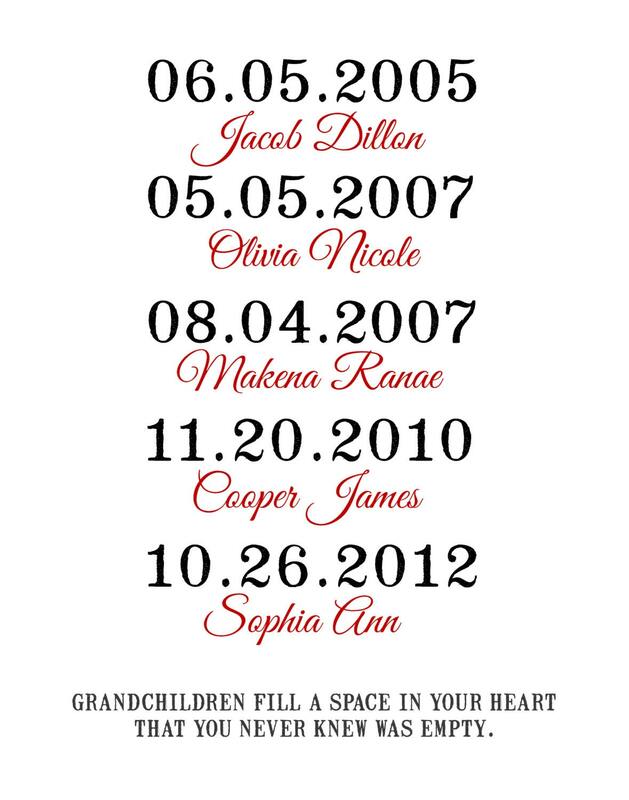 Using the birth dates of the grandchildren. 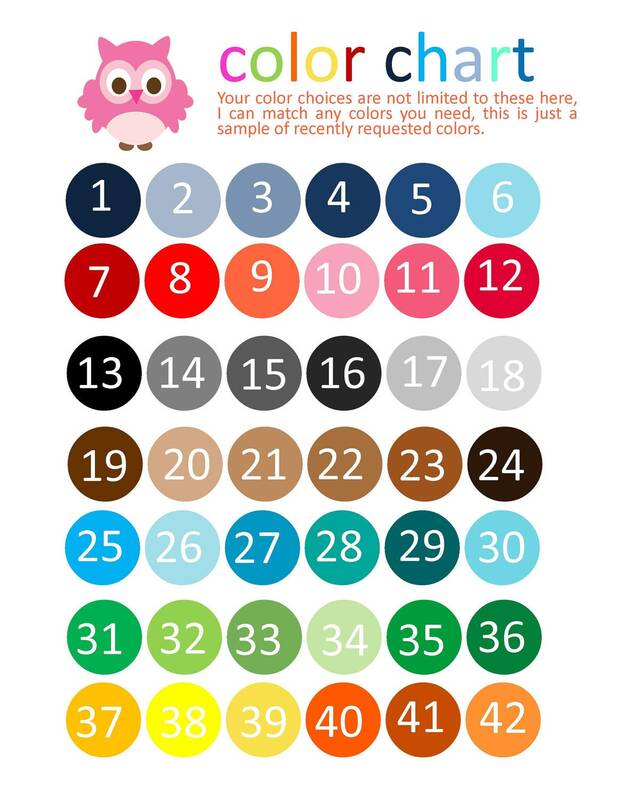 Please send or leave me a message when ordering of dates and names.Color and style of font is your choice. 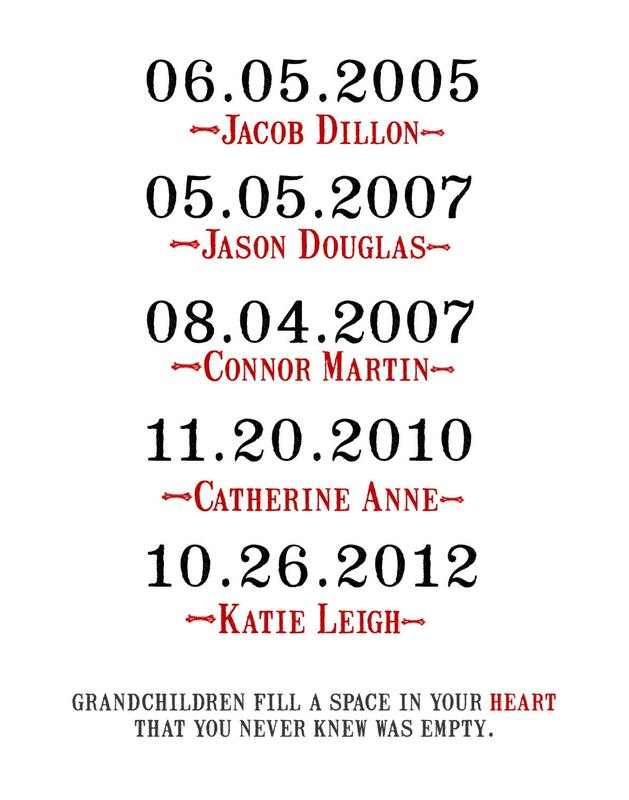 Each print can be customized for you - font, color and verse at the bottom can all be changed.